Aspinalls - Victoria and Albert Museum. Ceramics Galleries, Aluminium Ring. - UK Engineering Experts | Engineering Business UK | Qualified Engineers Lancashire | Mechanical Engineered Products | Mechanical Engineer Services. Victoria and Albert Museum. Ceramics Galleries, Aluminium Ring. Client : Victoria and Albert Museum. 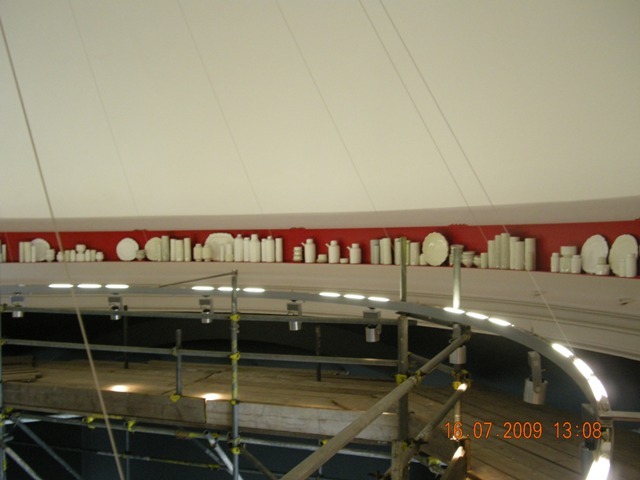 Project : Ceramics Galleries, Victoria and Albert Museum, London. 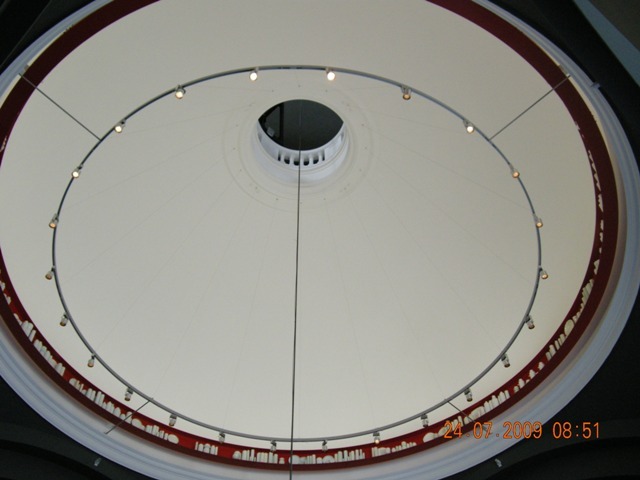 Aspinalls were appointed as main contractor by the Victoria and Albert Museum for the construction and installation of a 12m diameter aluminium ring, powder coated in vibrant red, forming an integral part of an art installation (signs and wonders) by the acclaimed ceramics expert Edmund De Waal. 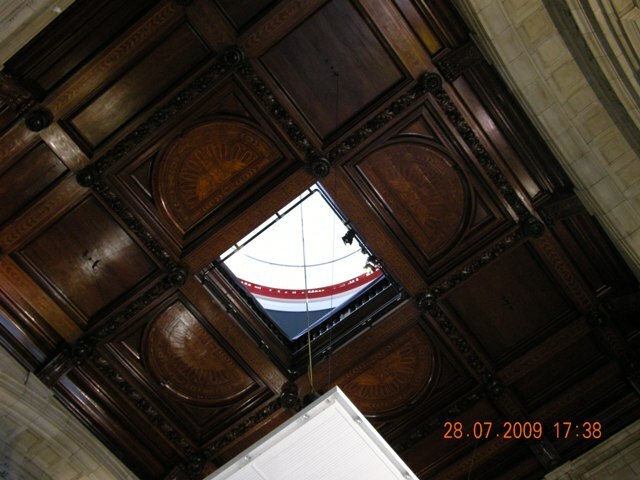 The ring was installed 13 meters above the gallery floor and secured through the monumental existing victorian dome. 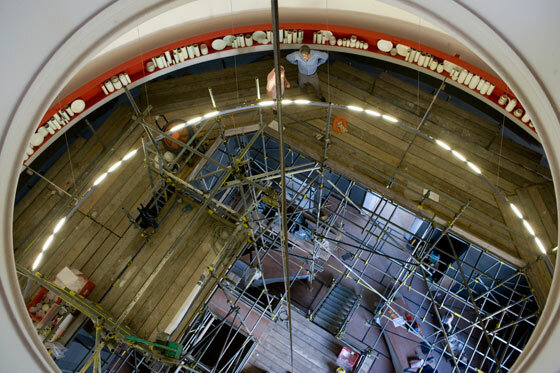 Edmund and his team loaded the ring with over 400 ceramic objects to complete the installation. It was both a pleasure and very interesting to work with Edmund De Waal on this project.